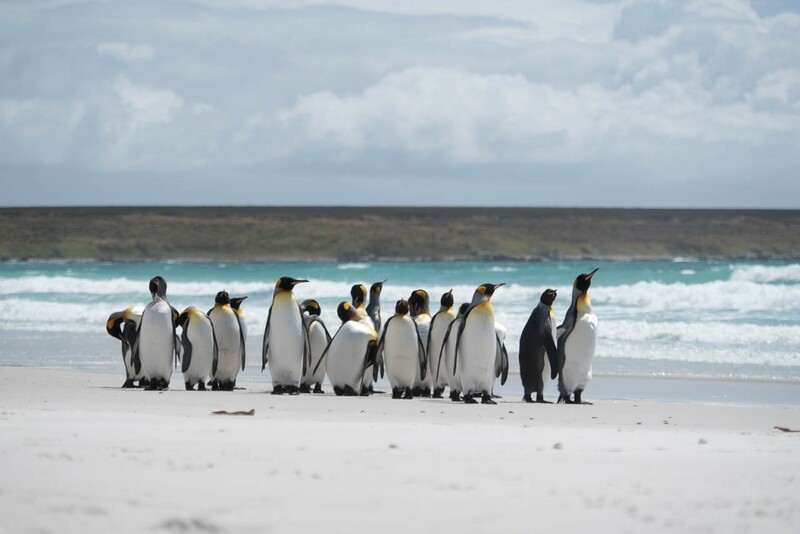 Day nine of our trip will be our last full day in The Falklands, tomorrow we fly back to Santiago and begin the long trip home. 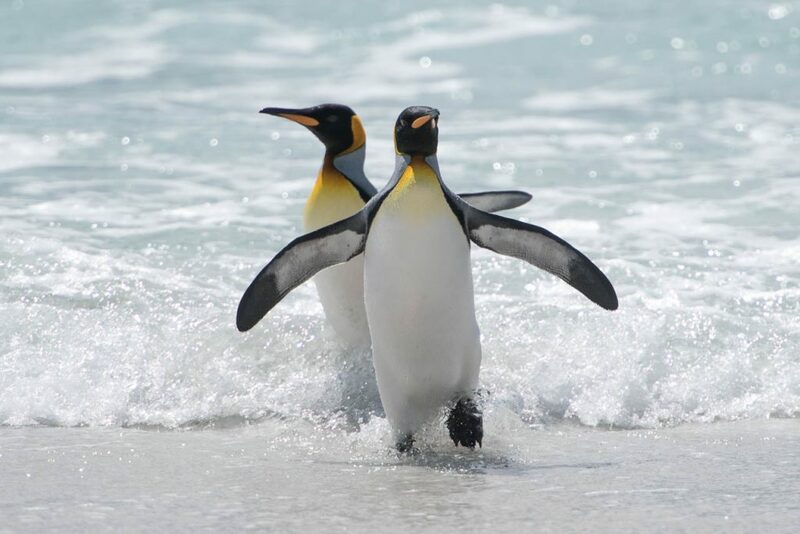 However we are finishing on a high! 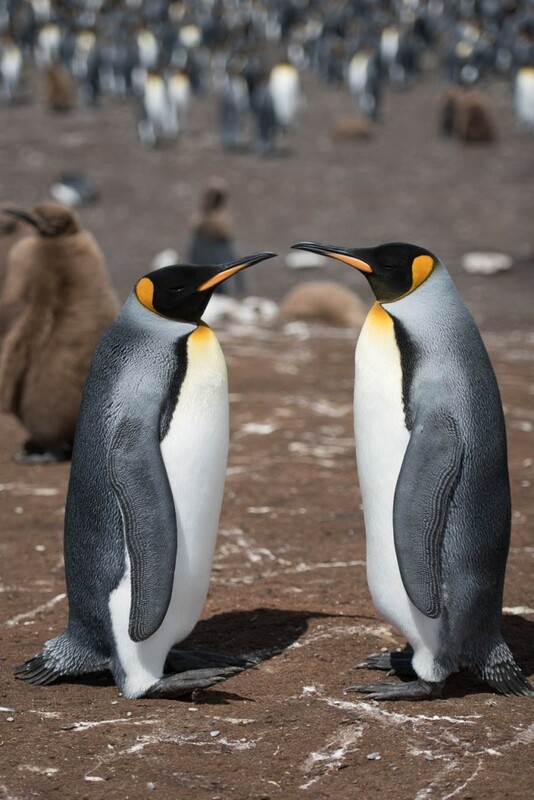 Today we visited Volunteer Point which is home to the largest colony of King Penguins on the islands. 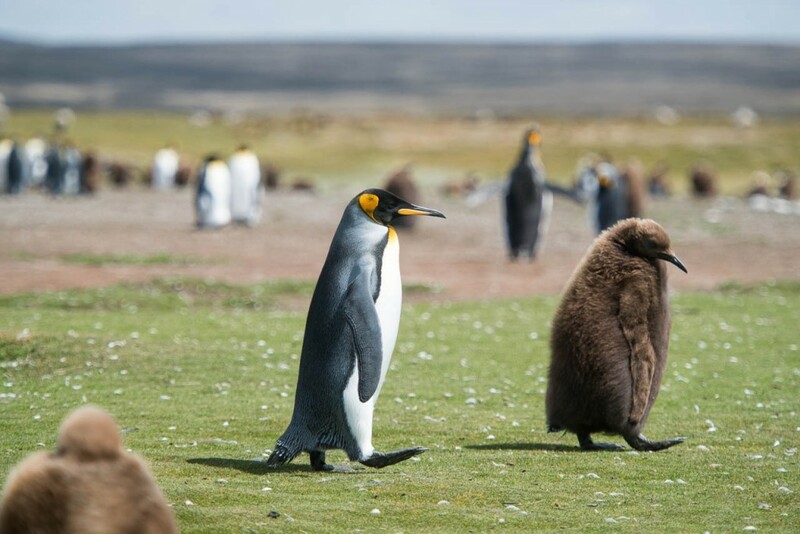 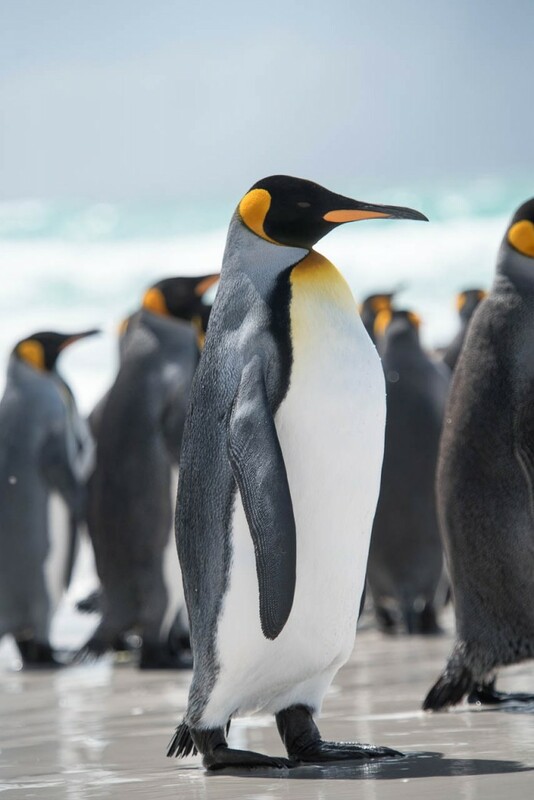 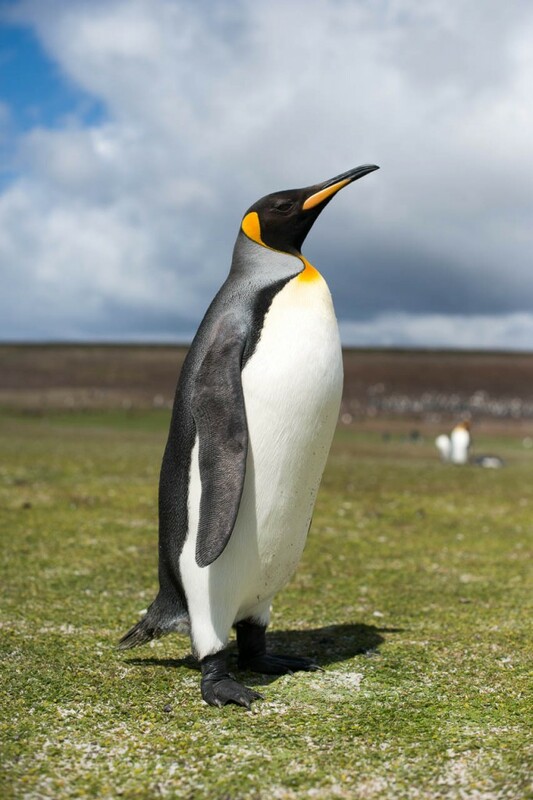 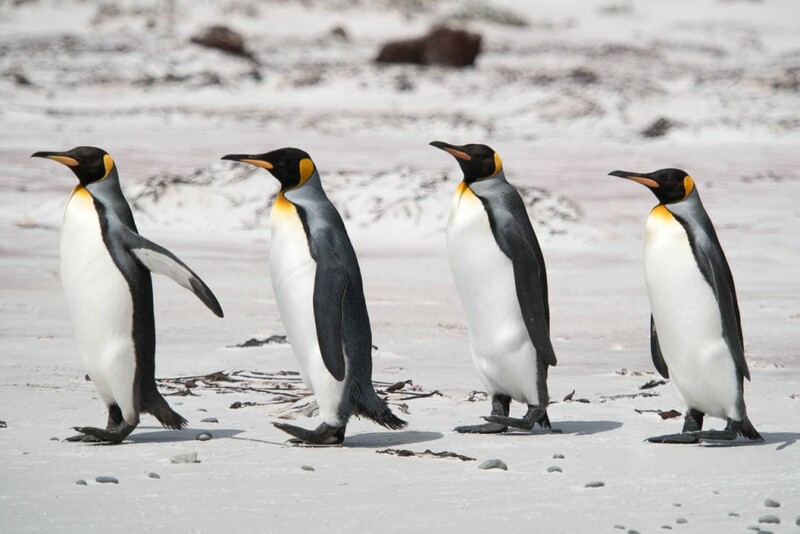 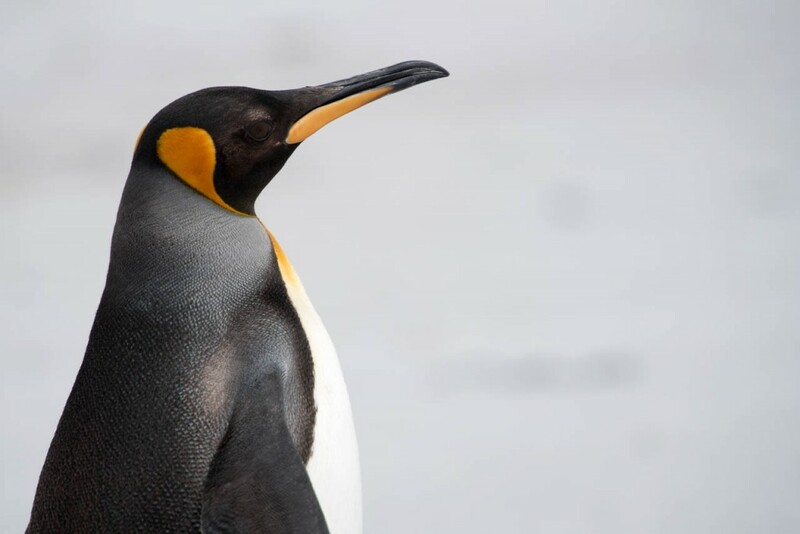 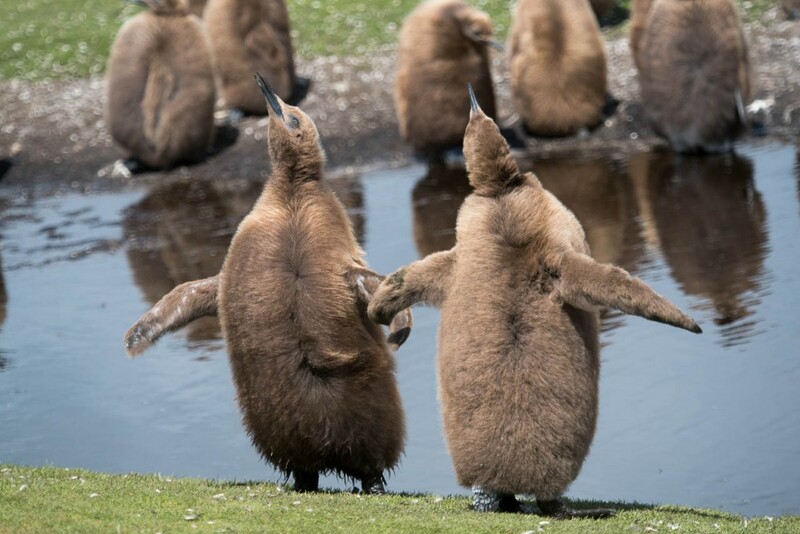 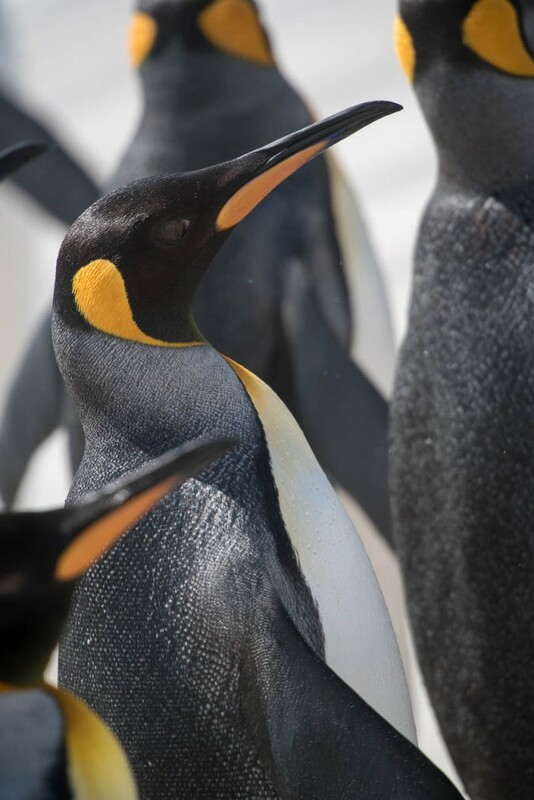 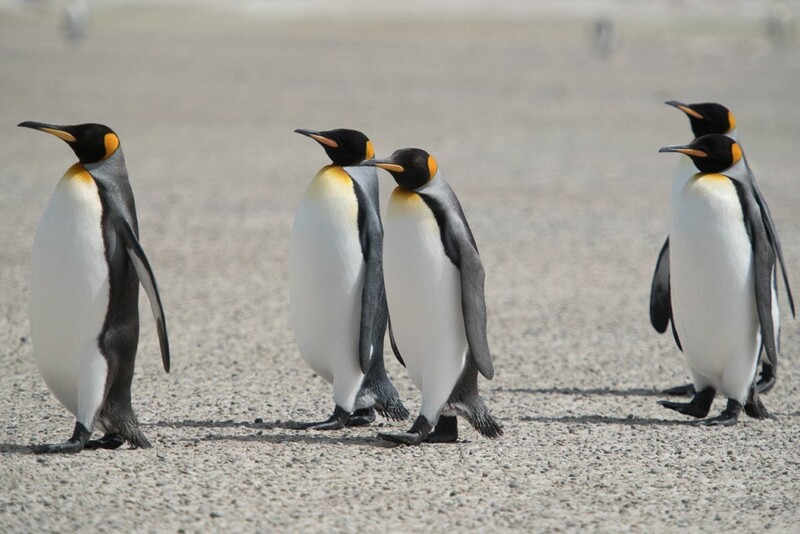 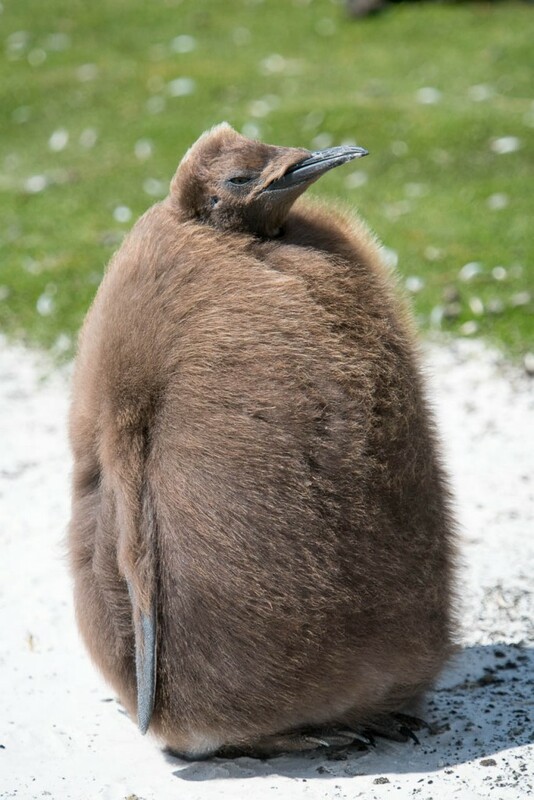 The King penguins are the largest penguins that visit The Falklands and also the most iconic. 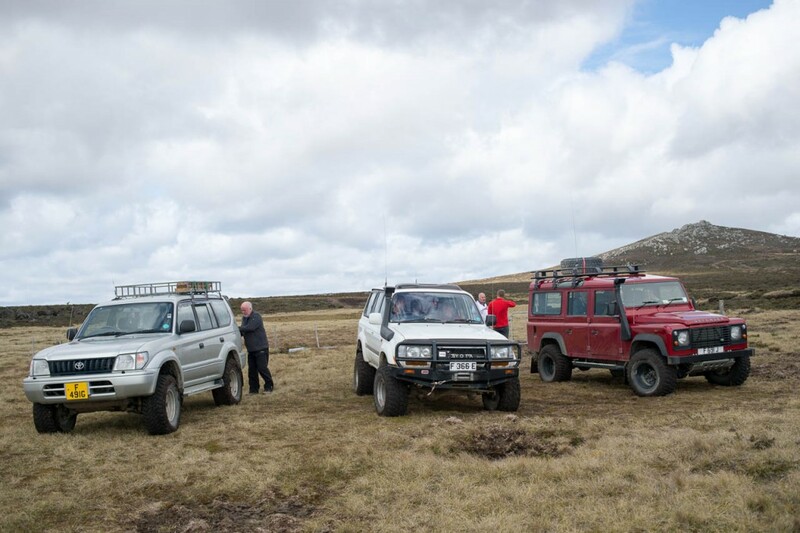 The route to Volunteer Point starts out on the main roads, which are gravel, before turning into nothing more than a grass track through the heath land all the way to the point. 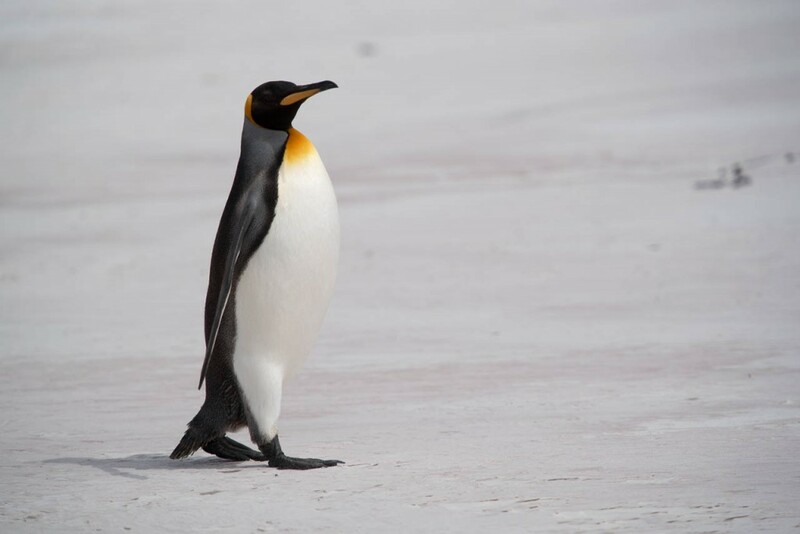 In total it takes around 2 hours to reach the penguin colony from Stanley. 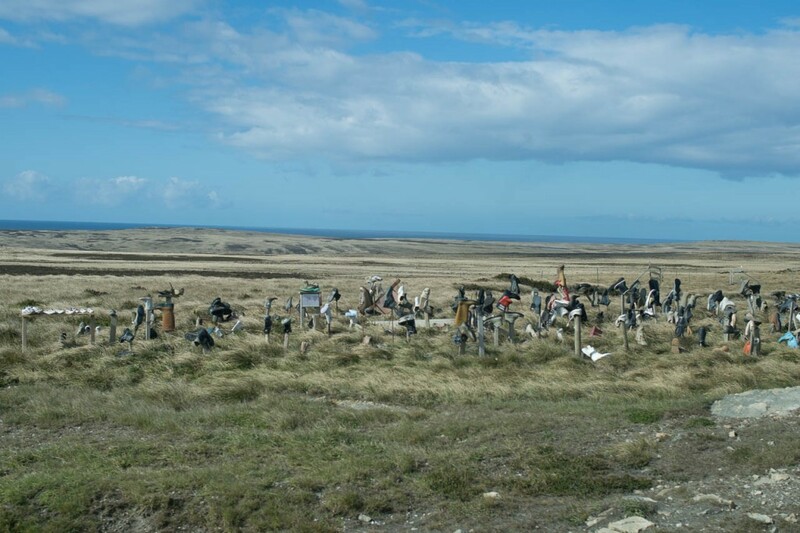 En-route we passed by “Boot Hill” which no one seems to know when or why it started but sees people leaving old shoes on short posts just outside Stanley. 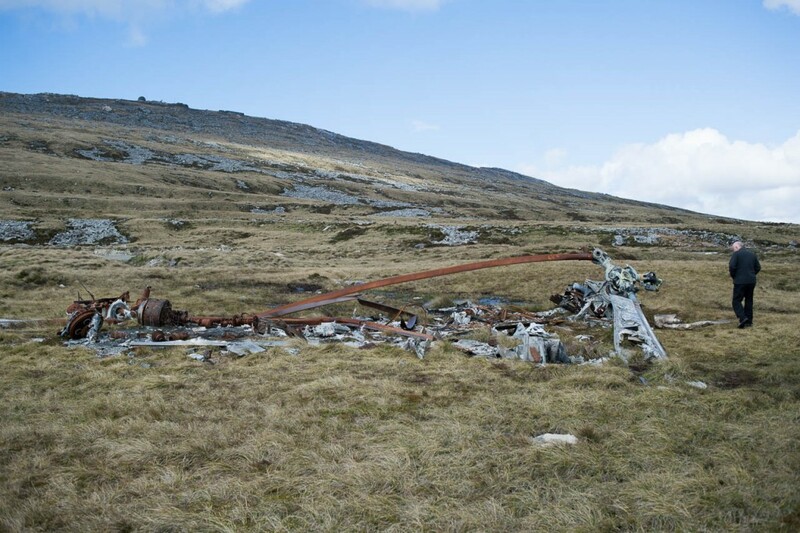 We also passed the site where two crashed helicopters from Falklands war are still able to be seen. 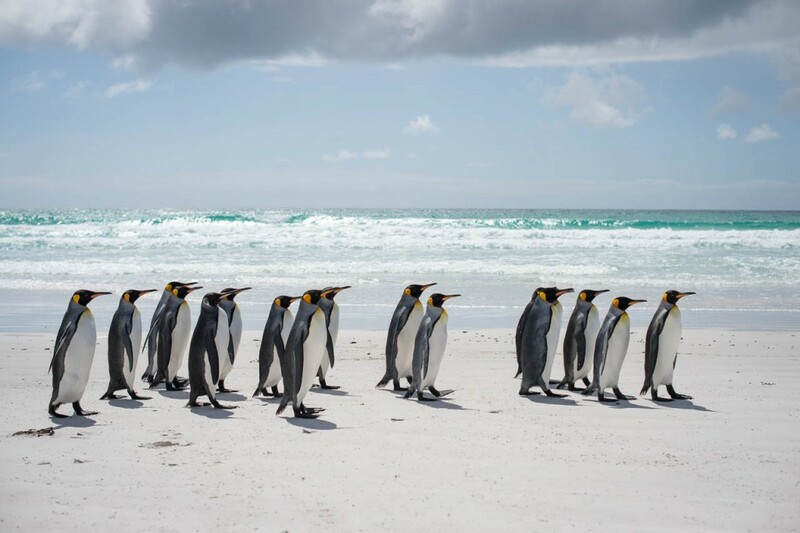 Arriving at the colony is an amazing scene, there are beautiful white sandy beaches and the sea is as clear as you can imagine. 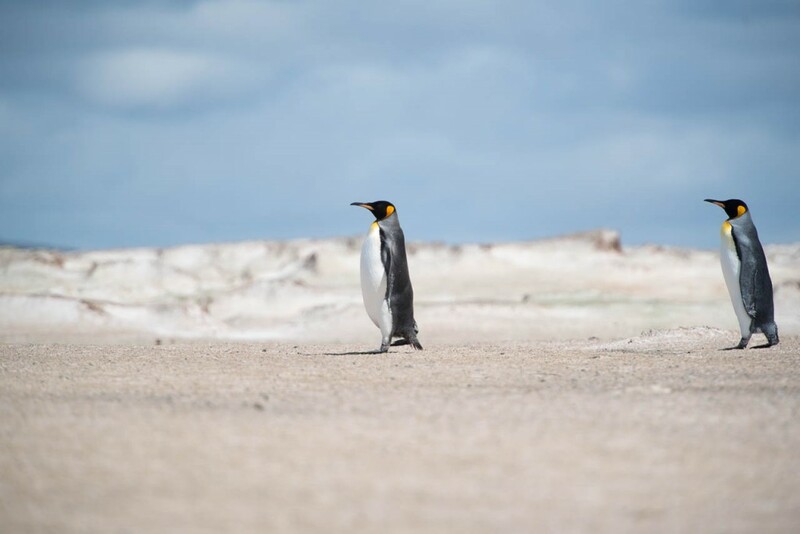 Amongst this idyllic scene dotted all along the beach and across the grassland close by there are penguins walking back and forth between their nests and the sea. 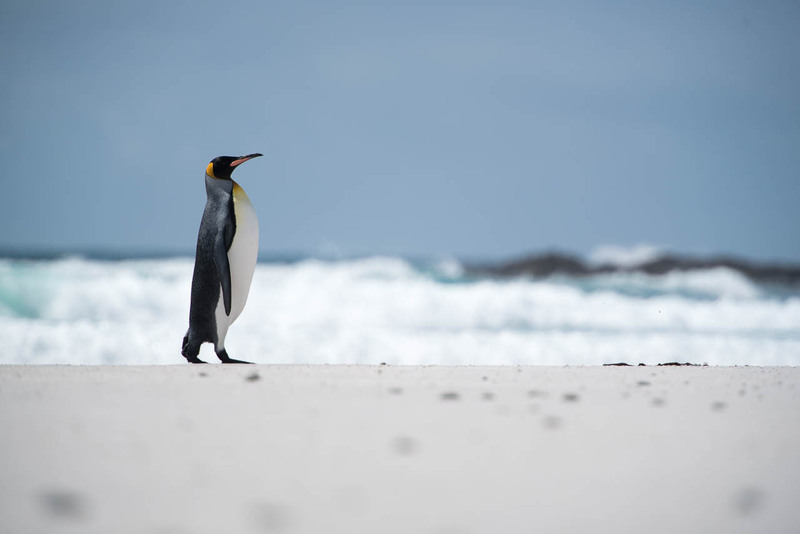 We spent the next 2 hours walking along the beach, within a few feet of penguins walking past us both up and down the beach. 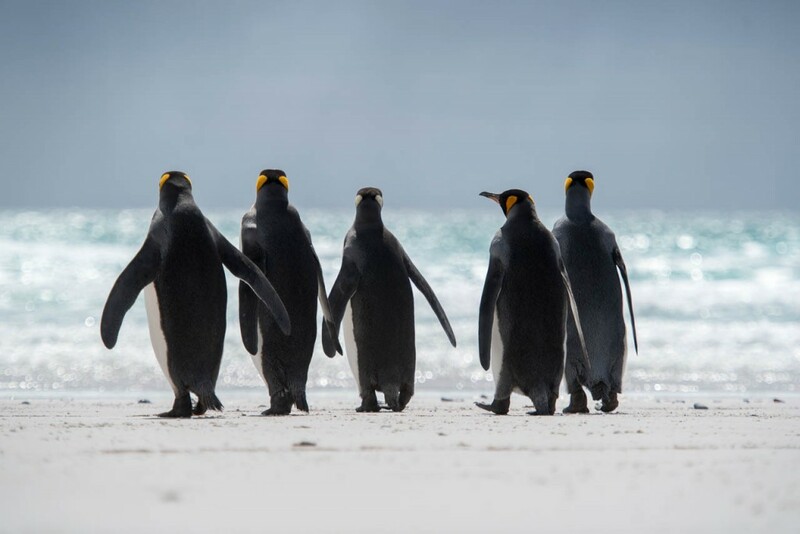 The location makes an unbelievable backdrop for photographing these magnificent birds. 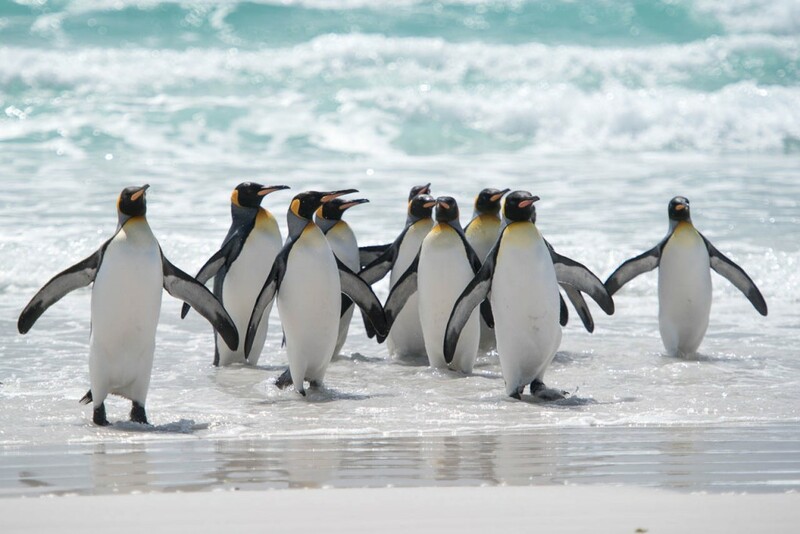 After spending time on the beach we then headed up towards the main colony. 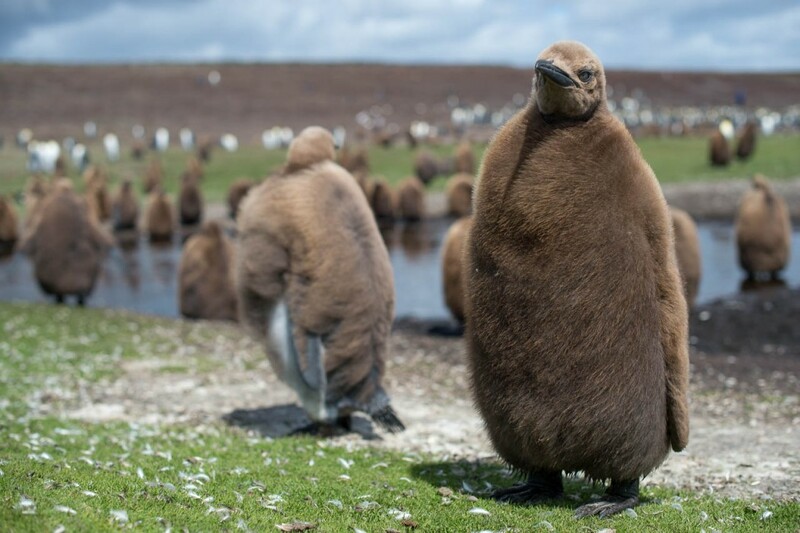 Here there are chicks from last year’s brood still covered in their brown, downy feathers. 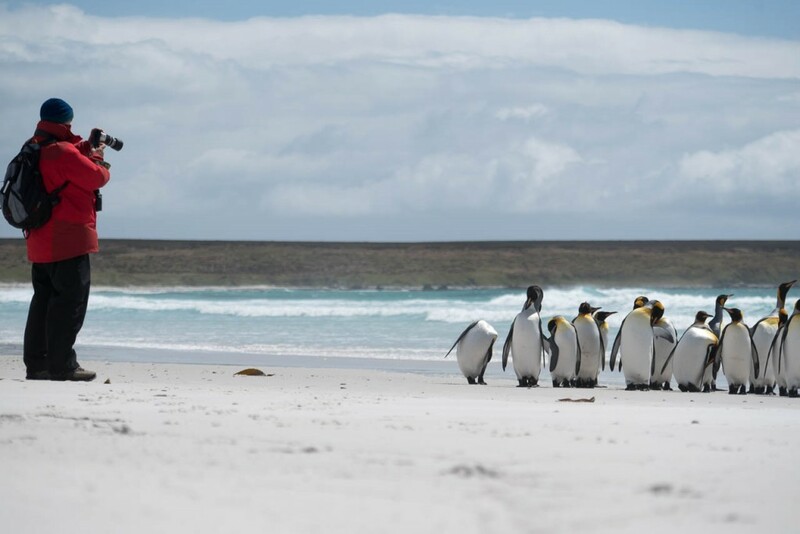 Until these are lost, which takes over a year, these chicks are left here on the beach with a small number of adults running a ‘creche’ to keep them together and away from potential predators! 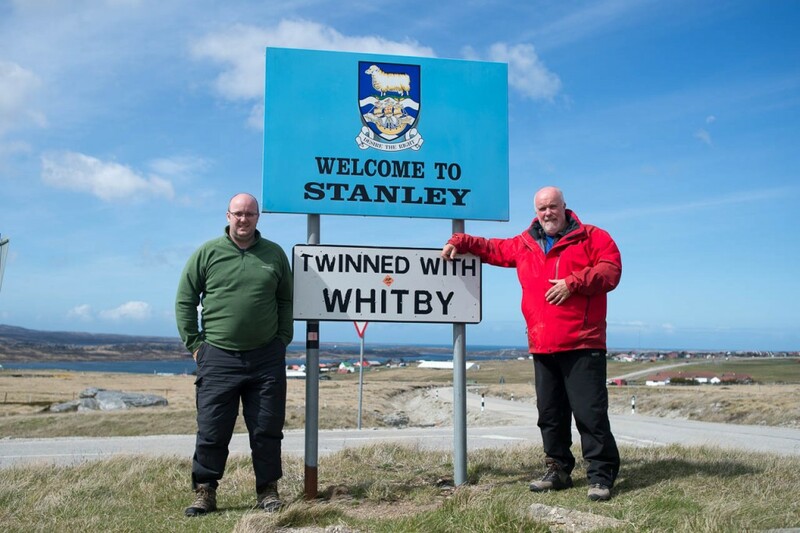 Finally on our way back to Stanley we had a chance to stop by the Stanley town sign, which proudly states Stanley’s twining to Whitby back in the UK. 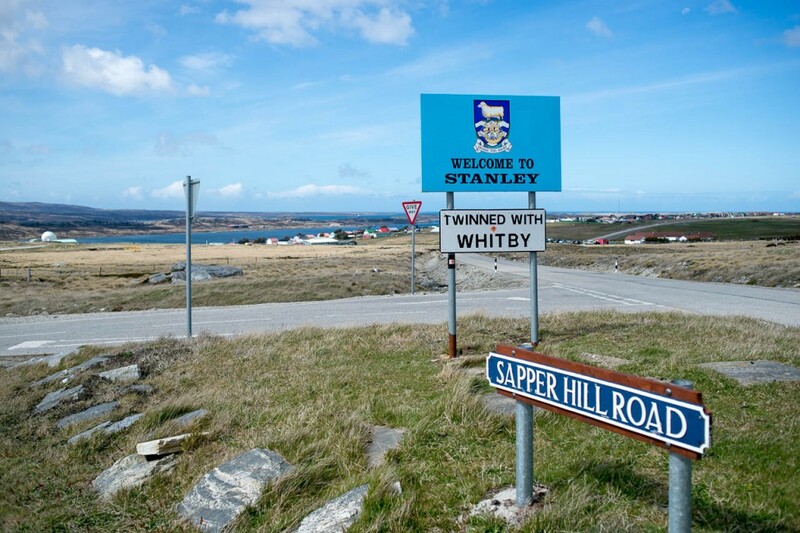 As someone who loves Whitby it was great to get these photos for the scrap book!